A list of frequently asked questions we get asked about BBSAwards and the Awards. My name is on the voting page!! Have I been nominated? No. If your name is on the voting page, congratulations, you have been recognised as part of the breaks scene! Other than that, these shortlists mean nothing. They are just artists, tracks or events that we think may be chosen by voters. Anyone can be added, and anyone can be removed. If you are voting and the choice you want to vote for isn’t listed, click “Add your own” to enter your own choice. 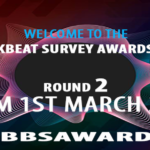 Voting Round 1 ends on 17th February 2019 at 23.59 GMT. Round 2 - Nominations (10 nominations per category) will then be voted soon after, and the winners will be announced at, during and after the Awards event on March 2017. You can only vote once from website. If you vote more than once, ALL your votes will be deleted, so don’t try and cheat. You have been warned. BBSAwards provides shortlists for some of the awards to help you vote. However, for all categories you can vote for whoever you want to by selection “Choose your own” and then inputting your selection. You can vote for whoever you think deserves to win. I’ve been nominated, what happens next?